Our Bathroom gallery has some examples of walk in showers, jacuzzi tubs, custom shower doors, pebble shower floors, vanity's and heated floors. Your bathroom is more than just a room where you take your morning shower. It’s the place where you begin every day, the place you wash away your troubles, the place you bathe your children and wash the dog, the sanctuary where you sink into a hot bath with a good book. Your bathroom remodel should take all of this into account because what matters most is that this room functions the way you need it to, and gives you the feeling of energy or peace that you require when the rest of your world is moving so fast. When you’re considering a new bathroom, function and aesthetics go hand in hand. Finding a contractor who understands this is the first step to a successful bathroom remodel. We are licensed general contractors and designers who will partner with you on your project from the design stage through final build. We understand that it begins with your vision and we’ll help you consider the logistics of how your dream bathroom fits with the style of your home and with your daily needs. We approach your design with many years of practical experience and knowledge. By keeping the concept of design-build at the center of everything we do, we’re able to create a partnership with our clients that allows us to offer you the best design, craftsmanship and follow-through to make your vision a reality. At Greenleaf, we’re committed to environmentally responsible construction. We take product quality, environmental impact and sustainability into consideration with every project we design and build. 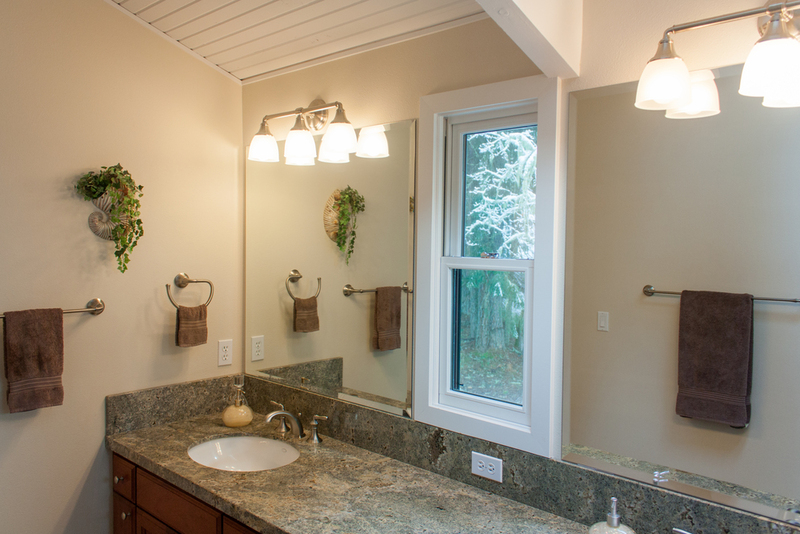 We are LEED Certified, as well as Passive House, Earth Advantage and Energy Star Certified, so you can count on us to bring the best perspective to your bathroom remodel. We’ll talk to you about air quality, water conservation and ways that you can reduce your energy use to save you money going into the future and to do everything we can to be conscious of our community’s environmental health. We believe in providing you and your family with a safe, sustainable home because we’re committed to the well-being of our clients and our planet. Whether you’re envisioning a luxurious bathroom that makes you feel like royalty when you step in, or you’re dreaming of sumptuous Pacific Northwest woodwork and Japanese-style simplicity, or you’ve got something else in mind that is entirely different and uniquely you, Greenleaf has the knowledge and experience to bring your ideas to fruition. 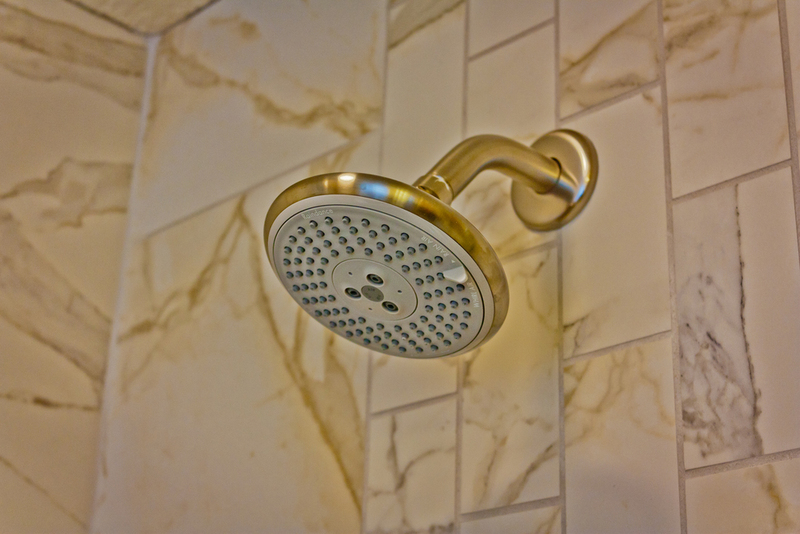 We’ll help you determine what the best products are for your bathroom remodel, from hardwoods, to tile, to lighting, to fixtures. And we’ll help you save money both now and in the future with energy-efficient construction methods and the most up-to-date lighting and heating, as well as low-flow sinks and toilets, so you can have the best of all worlds and end up with the bathroom of your dreams. Contact us to get started on your custom bathroom remodel.